Do you ever need a quick treat during the day say…when your hubby is gone and kids are at school? I do! 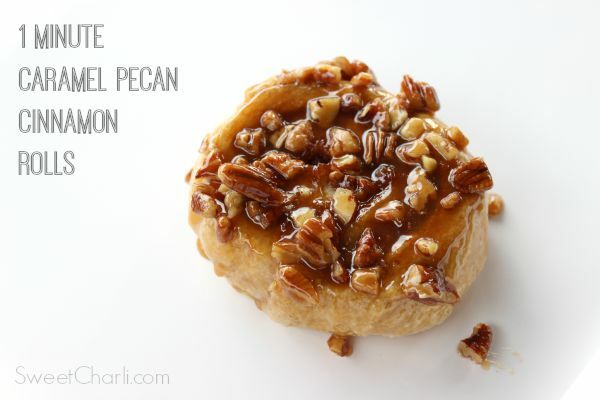 Thank goodness for these Caramel Pecan Cinnamon Rolls that you can make in one minute, in a mug, in the microwave! So easy and so tasty! 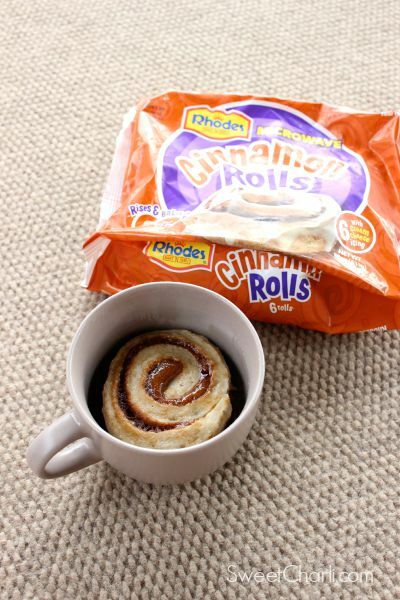 I always have the 60 second cinnamon rolls by Rhodes on hand in my freezer. I decided to give them a little twist. Check out this easy recipe on the Rhodes blog HERE. I am sure you will love them!